WordPress themes can be limited in options and layouts, your demands and ideas are not. Sometimes you need a simple change in your header or footer which can’t be done without coding. From now, things are about to change forever. Visual Composer Premium offers you Header, Footer, and Sidebar Editor to create your own unique templates. The editor has the same interface as the regular content editor with an exception that its width and height is tailored for headers, footers, and sidebars. 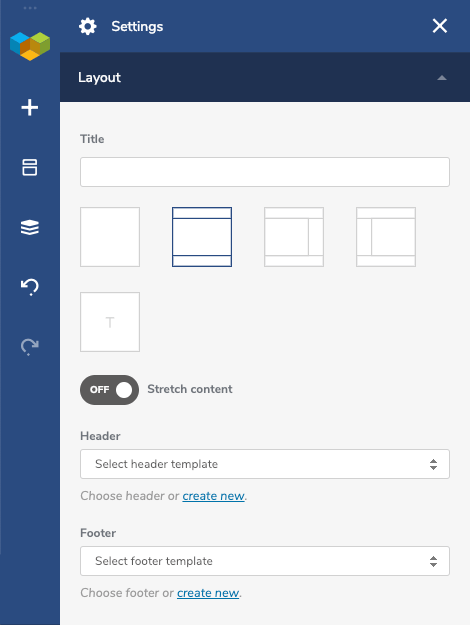 In addition, HFS editor offers Design Options for the whole header, footer, and sidebar in the Navigation bar settings panel. How to create header, footer, and sidebar? 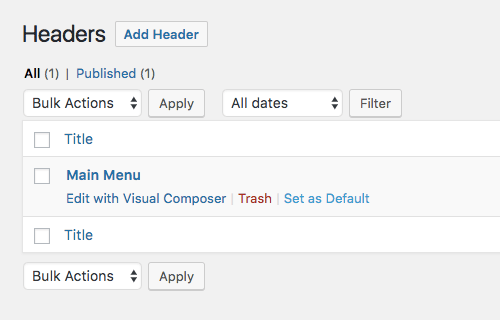 To add a header, footer, or sidebar navigate to your page and open page settings (from the Navigation bar). In the drop-down, select header, footer, or sidebar template. Note: Make sure to select the layout that contains header, footer, or sidebar to see the drop-down option. Sometimes it is easier to go with a ready-to-use header, footer, and sidebar. Visual Composer Hub offers you a list of a various header, footer, and sidebar templates to use as a basis for your own creations. 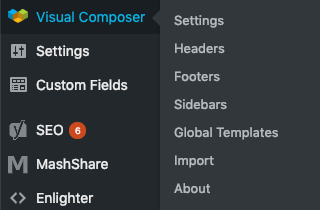 Simply download header, footer, and sidebar templates from the Visual Composer Hub and add them in your Header, Footer, or Sidebar editor. All you have to do is change the logo and specify menu source. Of course, you can go even further by changing the layout or adding more content elements – it all comes down to your needs. Save header, footer, or sidebar. Your new template will appear in the list and drop-down menu in Page Layout options.